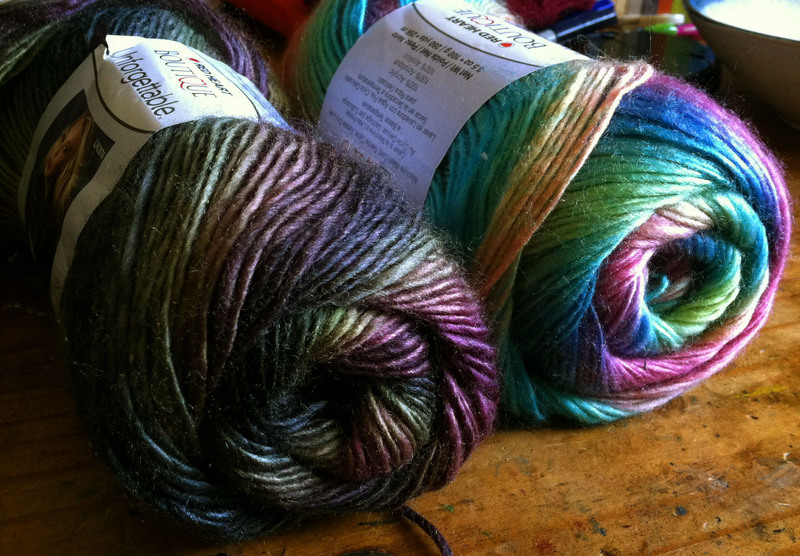 For Lent I will be giving up NOT yarn! Well we don’t actually observe lent but it is something that I would do support my friends that do. So this year I need to find something to give up because yarn is not going to be an option. Today I needed to stop by the local craft box store to pick up some things for a crown, one skein that was all I was going in for. 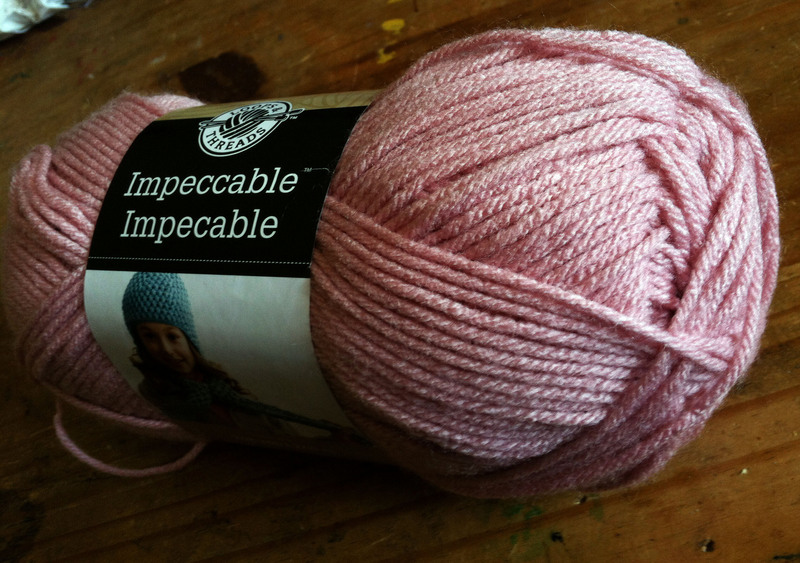 See it is right here a lovely pink, perfect for a new baby girl. I am also planning on using the pink for some bunny hats for spring/Easter and maybe some flowers or something. 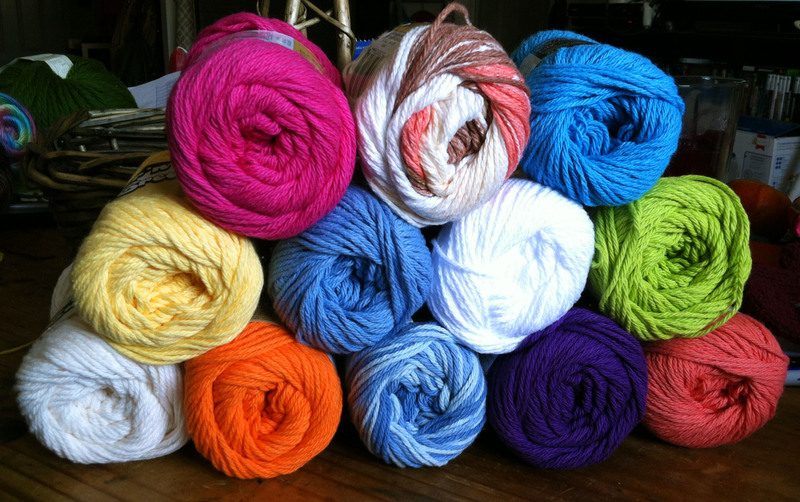 The plan was one skein that can be used in many ways and combined with other yarn I have in the stash for some quick projects. The problem is that there were some amazing sales and some really great color combinations and I was in need of some cotton yarn for washcloths. Really I already had some in a online basket ready to buy, honestly. These were the colors I wanted, well close enough, at a price that I couldn’t pass up. I’m such a sucker! I even grabbed the basket, which was conveniently located next to the yarn shelves. I’m pretty sure they plan that out in order to sell more baskets to those of us who just can’t walk away. I have mentioned that it would be a good place to put a stash of the shopping baskets because lets be honest you buy just one. 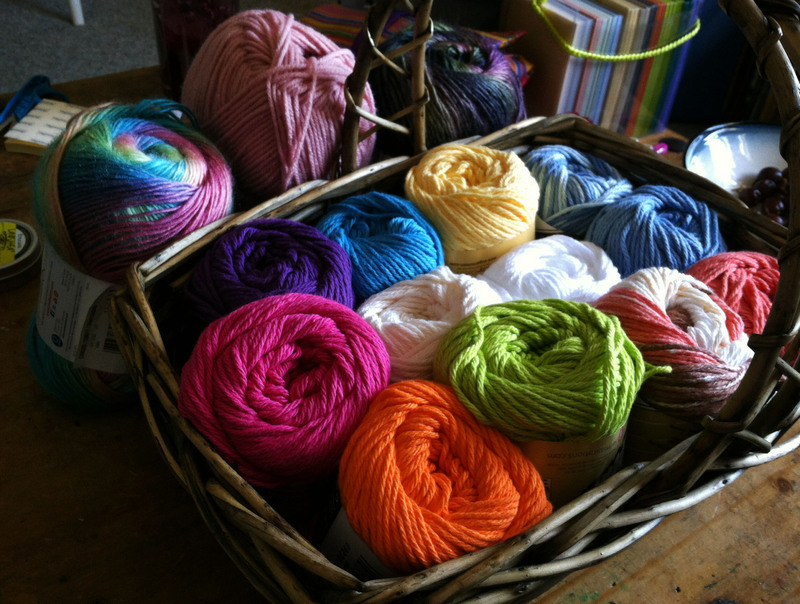 I really did do good, there were so many others that I could have added to my basket of yarn, I did walk away from them. There were two women there who were grabbing even more than me, it was funny they were dropping balls everywhere. The almost grabbed a display cart to take all there stuff up to the front. I suggested that they grab a big basket and just tell them at the front that they decided they didn’t want it. They thought I was a genius. I should have taken my own advice…I will be able to use the basket in my spring display at shows. All I have decoration wise is fall/winter stuff. Not really the feel I want for a show table in April. I now have plenty to keep me busy during my mother-in-law’s upcoming doctor appointments and surgery. We are just going to look past the fact that the stash sitting in our office is enough to keep me busy for years. I look past those small details and just enjoy the yarn. Thanks, I figured since there is still snow on the ground I would brighten up the inside. Yarn is my favorite home decor. Thanks my stash needed brightening up. I am very ready for spring! Ha! That’s priceless…I do love the yarn you chose! Can’t wait to see what you make!! I will be posting pics fur sure.